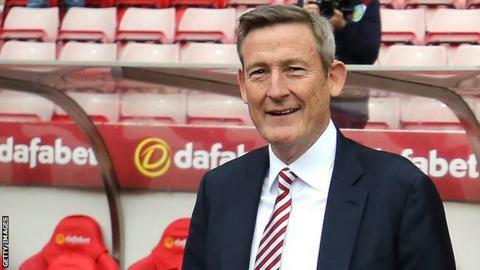 Owner Ellis Short is prepared to give Sunderland away for free if a buyer can be found to take on the Championship club's substantial debt. Short has said he is open to offers for the relegation-threatened club, but has failed to find a buyer. Reports had said the American would accept £50m for his shares. But he is now ready to sell for nothing as long as any new owner takes on debts which stood, according to the last published figures in 2016, at £137.3m. It marks a stunning fall in value with Short believed to have set an asking price of £170m as recently as late 2016, when the club was still in the Premier League. Around half of the debt, £69m, is owed to the London-based businessman personally and it is thought the billionaire may forego some or all of that figure as part of any deal. The balance of £68m is owed to Security Bank Corporation, which is owned by Guggenheim Partners, while interest payments are currently running at approximately £8m a year. Fresh club accounts are due to be filed in April and the gross debt may have been potentially reduced further in the intervening months, since the last set of figures. It is believed Short - together with Sunderland's American-based board member Per Magnus Anderson - have held talks with several prospective buyers in recent months. Discussions are believed to be continuing but no solid agreement for a sale has yet been reached. He hired an adviser last year to process a takeover of the club, but decided to remain in June as he was unhappy with the potential deal with a German consortium. Sunderland are bottom of the table and winless in five games, with Chris Coleman's team facing the prospect of starting next season in League One. Speaking in November, Short, who took a controlling interest in Sunderland in 2008, said: "I may or may not sell the club in the future, that's not completely out of my control, but mostly it is out of my control. "As long as I own it I'm going to be focused on what is good for the club, and the immediate focus is getting out of the situation we're in now." A spokesman for Sunderland declined to comment.